It's here - the rumors were true, and if you had seen the signs in the business plaza in Costa Mesa a few months ago, you were not mistaken. 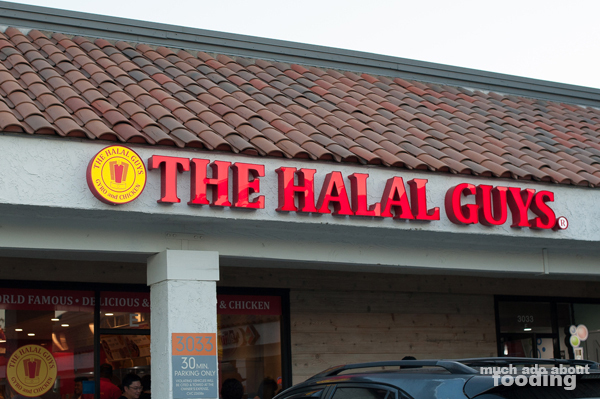 The Halal Guys have landed in Orange County. Don't know who they are? The cult following they've amassed from their New York City outpost would be shocked. 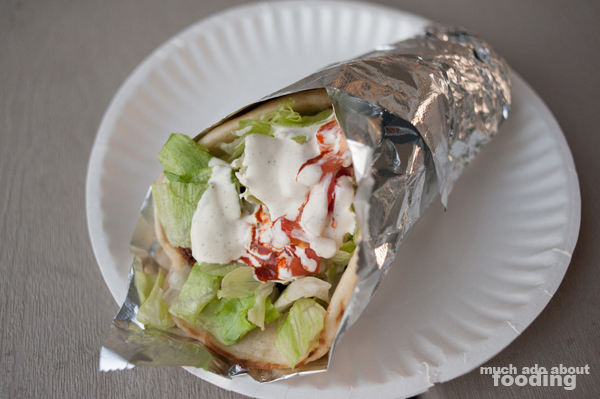 As the most popular NYC food cart, The Halal Guys have certainly made a name for themselves out on 53rd St and 6th Ave in the big city, serving up gyro sandwiches and plates for 25+ years. 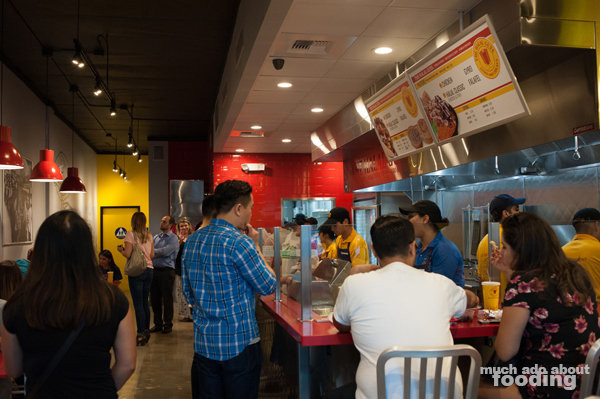 Today, they opened their first West Coast brick-and-mortar location to much anticipation from the fans. 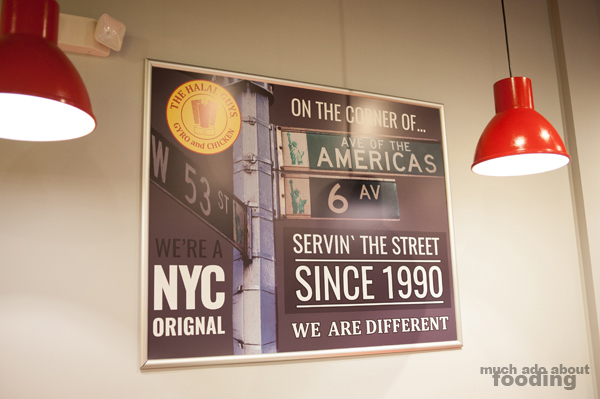 We were invited to a preview event to see the digs and check out of their food held up to the NYC classics. You're in luck - it did! 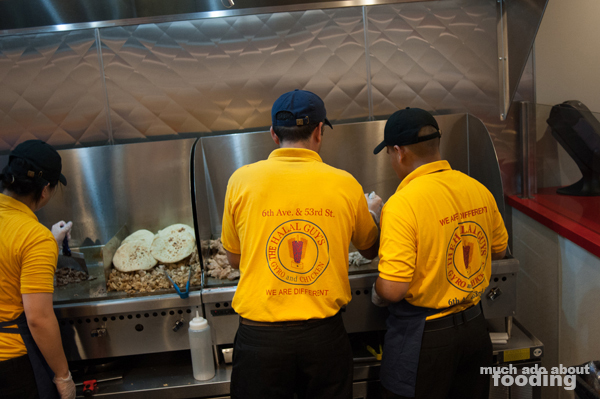 The founders of The Halal Guys are Mohamed Abouelenein, Ahmed Elsaka, and Abdelbaset Elsayed who started the cart in 1990. 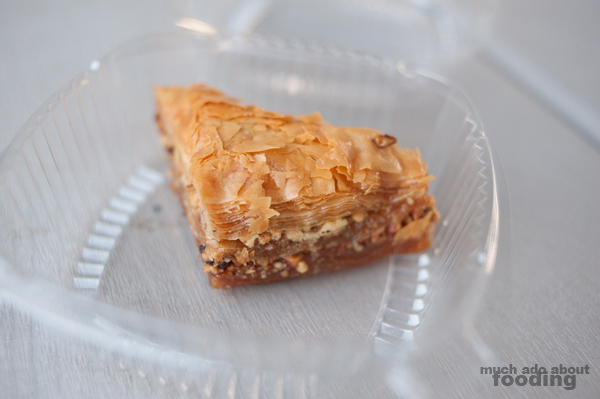 Based in Manhattan, it stemmed from the desire to fill a need among New York's Muslim cab drivers - to get Middle Eastern food. The restaurant in Costa Mesa pays homage to the beginnings with photographs, wall art, and even a layout that resembles a food cart's assembly. 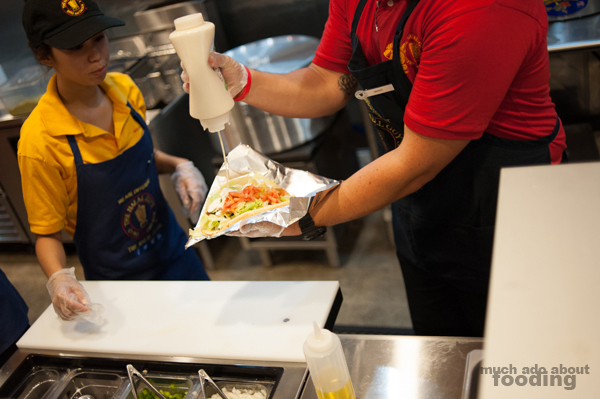 Because of its popularity, The Halal Guys will be constantly opening brick-and-mortar locations to the tune of 50 franchised units in Southern California alone. Orange County's spot is led by Thomas Pham, who was there that evening helping out all the excited guests as they sated their NY cravings. Does the food hold up? Boy does it. In fact, I would venture to say that it may even be better than the cart because you can relax a little bit after getting your coveted sandwich or platter. Instead of waiting in line for a long time only to try and eat your meal on a curb somewhere, you can snag a chair and dig in with aplomb. We tried all the combinations of chicken and lamb we could, even biting into their crunchy yet moist falafels. 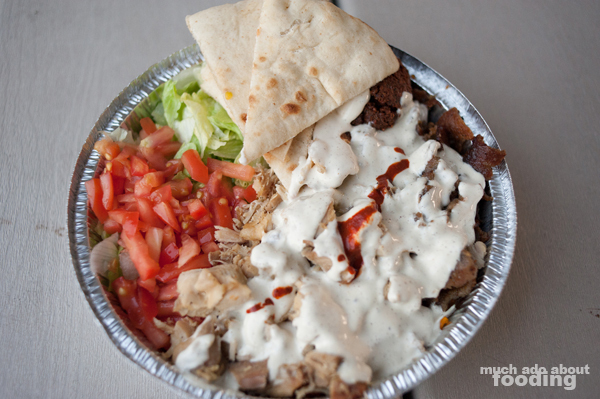 The white sauce is what really marries everything together for the food at The Halal Guys. That recipe must be a tightly-kept secret. If you need a little heat to your meal as well, ask for some of the red sauce because that will spice up the platter even more without overwhelming the rest of the flavors. 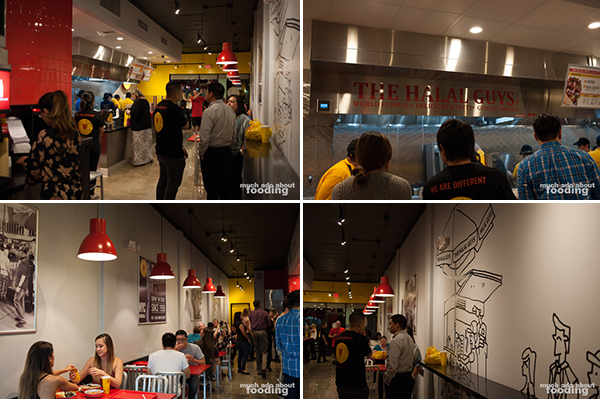 We're stoked to have The Halal Guys in OC. That saves us the time and money a trip to New York would cost (though who can replace the environment?). The staff there seemed well-paced with the orders even with the slew of people in the door that day, and the food was spot-on. I remember my first experience standing in line for the food cart in New York, and now I guess I'll just have to stand in line in Costa Mesa. Congratulations to them being the very first of the West Coast openings! We're looking forward to many more meals here.